This sample itinerary is designed for a "weekend getaway" in the Eugene, Cascades & Coast. 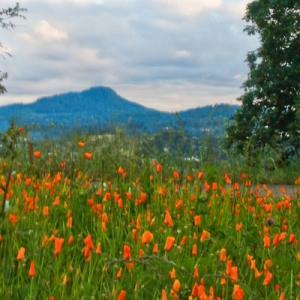 This itinerary uses Eugene - Springfield metro area as the base for day trips to the Cascades and coast. 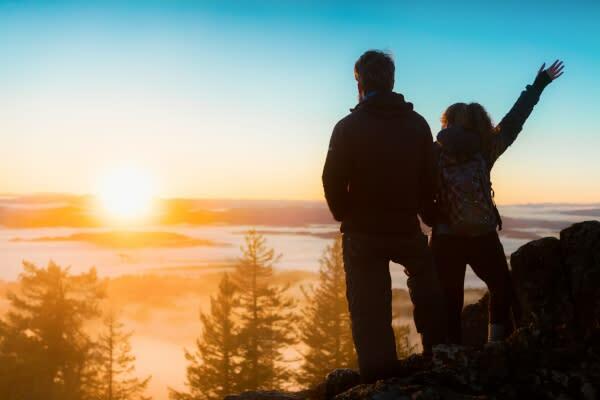 Start your day with a short hike or drive to the top of Spencer Butte for a spectacular view of downtown Eugene and the surrounding area. Just east of downtown tour the University of Oregon campus, home to historic Hayward Field. While on campus, stop at the University of Oregon Museum of Natural and Cultural History, home to the world’s oldest pair of shoes! Enjoy lunch at an award-winning craft brewery in downtown Eugene, such as Falling Sky Brewery or McMenamins. Then, explore the Fifth Street Public Market, which offers boutique shops as well as, several restaurant and café options. Spend the afternoon driving through the beautiful wine country of the Willamette Valley, best seen along Territorial Highway. Stop at a tasting room to sample world-famous Oregon Pinot Noirs. Return to Eugene for dinner. Try tacos and cocktails at local favorite Tacovore in the Whiteaker neighborhood. To wrap up the evening, attend a show at the Hult Center for the Performing Arts, or a musical performance at the John G. Shedd Institute for the Arts. For more concerts and events, check out our events calendar. Start in Eugene with a hearty breakfast at Off the Waffle. Stop in at local grocer The Kiva to load up on a variety of healthy snacks and deli sandwiches for a picnic lunch later in the day. 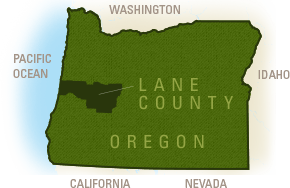 From Eugene, drive east on Highway 126 along the McKenzie Wild and Scenic River. Along the way, watch for fishermen in their iconic McKenzie River drift boats as well as whitewater kayakers and rafters running the rapids. Make a stop at the Leaburg Fish Hatchery, the largest trout hatchery on the West Coast. Once back in the car be sure to look out for the photogenic Goodpasture Covered Bridge, which crosses the McKenzie just east of Leaburg. Stay on Highway 126 until you reach Sahalie Falls. This picturesque waterfall is easily accessible right off the highway. Hike from Sahalie Falls to Koosah Falls along the McKenzie River National Recreation Trail and complete a moderate 2.6 mile loop. At the falls, stop and have a picturesque picnic lunch! 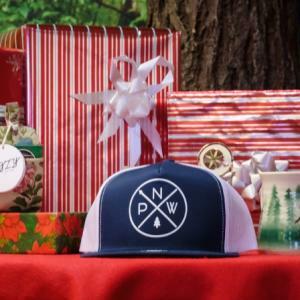 After lunch, head back west on Highway 126 toward Eugene. Turn left onto Old McKenzie Highway 242 (closed during the winter) and hike (1.5 mile loop) to cascading Proxy Falls. Follow the twists and turns of Highway 242 to the summit of the pass and Dee Wright Observatory. 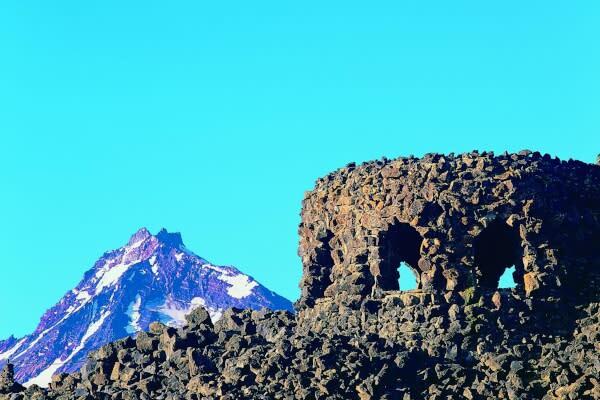 It offers amazing views of nearby black lava and the distant peaks of the Cascade Mountains. At the end of the day, head back on Highway 242 and take a detour back east along Highway 126 for less than a mile before turning left on Belknap Hot Springs Road, where you can stop at Belknap Hot Springs Resort for a soothing soak or a swim. The warm, naturally spring-fed pools are family friendly and open to all (entrance starts at $8). Following your time at the resort, head back on Highway 126 the same way you came up in the morning. If you are looking for a place to stop for dinner, try Takoda&apos;s Restaurant. This burger, pizza and sandwich shop is a great place to stop and refuel before you head back to your hotel, B&B or campground. The weather on the coast is often different from the weather in Eugene. 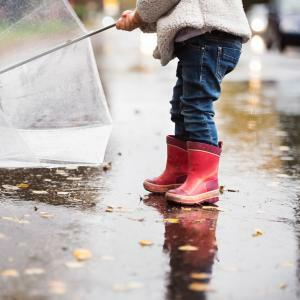 Be prepared with everything from sunscreen and a baseball cap to a rain jacket and sweater. Grab coffee and a lite bite before heading out of Eugene at Metropol Bakery. From downtown Eugene, drive west on Hwy 126 from Eugene to get to the coastal town of Florence. This scenic drive is about 60 miles from Eugene and should take a little over an hour to complete. When you pull into Florence, start your day off with a locally-sourced brunch at Homegrown Public House. If you just want a quick bite or are looking for something to take with you for a snack or meal later, stop at the Homegrown Wildcrafters Deli next door. Homegrown is located in historic old town Florence. Take some time to leisurely explore Florence&apos;s artsy, coastal downtown. Many shopping opportunities exist from antique shops and art museums to souvenir and candy shops. If you want to dive deeper into Florence&apos;s arts and cultural offerings, go to the Florence Area Chamber of Commerce and pick-up the Florence Passport to the Arts! This Passport takes you on a self-guided tour to the many galleries and public art exhibits in the Florence area. When you are ready to leave Florence, head Northeast and get on Hwy 101 N. Travel along the highway for about 13 miles until you reach the Sea Lion Caves. 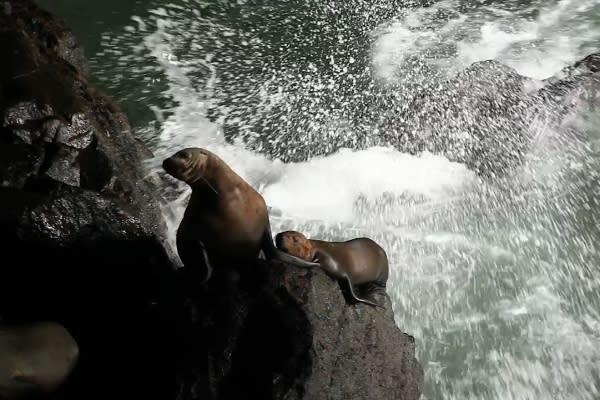 Take an elevator down to America&apos;s largest sea cave and year-round home of the Steller sea lion! Tickets start at $8 for children. When you&apos;re done viewing the iconic sea lions, get back in the car and head North 2 miles to Heceta Head Lighthouse. View the Lighthouse from the parking lot, complete a quick 0.6 mile hike to the Lighthouse Viewpoint, or stretch your legs hiking the Hobbit Trail (1.75 miles). This State Park Day Use Fee Area requires a $5 fee or parking pass. Continue your adventure by getting back on Hwy 101 and heading North 12 miles to Cape Perpetua and Thor&apos;s Well. Experience breathtaking views of tidepools, churns, spouting horns and the majestic Oregon Coast. Take one of the multiple short trails from Cape Perpetua Visitor Center down to Thor&apos;s Well, or up to Devil&apos;s Churn Information Center. You can also view Thor&apos;s Well from the highway at the Cook&apos;s Chasm Viewpoint. The Cape Perpetua Visitor Center parking area is a Northwest Forest Pass Day Use Fee Area that requires a $5 fee, or parking pass. Head back to Eugene by heading South on Hwy 101 for 23 miles and then East on 126 for about 62 miles.